The MC 2C range is destined for low intensity use and routine cleaning tasks. 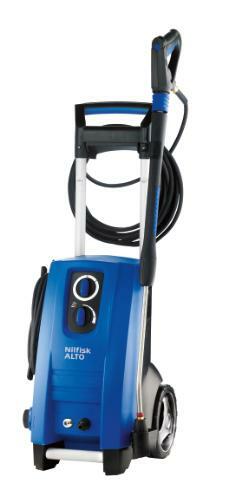 They offer excellent cleaning performance, professional spray equipment, good storage facilities and handling. The MC 2C mobile units associates a high level of ergonomics with cleaning power. The MC 2C line comprises models designed for routine semi-professional use mainly by tradesmen, on small construction sites or for rentals. The mobile unit associates a high level of ergonomics with cleaning power. The compact cold water line that combines high performance level for increased cleaning efficiency, ergonomics and durability for superior everyday cleaning.